This is the second of a six-part series focusing on the 2014 Red Sox Pitching (starters, relievers, closers) and Offence (infield, outfield, catchers/bench). Once again, there’s reason to be bullish on the bullpen situation as spring training opens in Fort Myers and the Red Sox prepare to defend their 2013 World Series championship. Last year, the Boston bullpen was a critical factor in paving the way to the team’s third World Series title in a decade, providing a wealth of stopgap options that were able to absorb injuries, nurture new talent, neutralize key opposing hitters and hold the fort in both short and long relief. While the Sox lost dominant lefthander Andrew Miller and both closing options — Joel Hanrahan and Andrew Bailey — to injury by the All-Star Break, fans heralded the rise of high-fiving Koji Uehara as a lights-out stopper at the back end of the bullpen, learned to put their faith in Junichi Tazawa as an effective bridge and saw rookie righty Brandon Workman become a household name in the Nation as he rose from the minors and rode all the way to postseason glory. In 2013, Red Sox relievers tied for third among American League bullpens in wins with the Yankees (30), ranked third in fewest innings pitched (470) behind Kansas City and Detroit, fourth in fewest earned runs allowed (193) but were tenth in AL ERA (3.70). Lefthanders: Franklin Morales (traded to COL for INF Jonathan Herrera), Matt Thornton (signed as FA by NYY). Righthanders: Alfredo Aceves (signed as FA by BAL), Clayton Mortensen (signed as FA by KC), Jose De La Torre (claimed off waivers by MIL), Pedro Beato (claimed off waivers by CIN), Andrew Bailey (unsigned FA), Joel Hanrahan (unsigned FA), Ryan Dempster (sitting out 2014 season due to physical/family issues). With the return of Miller — who boasted a 2.64 ERA and was averaging 14.1 strikeouts per nine innings in 37 appearances before being lost in early July to a broken left foot — the continued presence of Breslow and the development of rookie Britton as southpaw options out in the pen, there’s lots to like when it comes to the type of lefty-righty brinksmanship manager John Farrell and pitching coach Juan Nieves will again be able to employ this season. Don’t make the mistake of focusing solely on Breslow’s shaky performances in the World Series — the error and blown save on the whiplash throw to third in Game Two or the two-run double to Matt Holliday in the seventh inning of Game Three. We know how it all worked out. And we’re talking about a guy who didn’t allow a run in either the Division or League Championship Series, giving up only three hits and striking out six in seven innings, and was a horse throughout the regular season for the Sox. One other factor to consider is the possible inclusion either in part or whole of Felix Doubront. 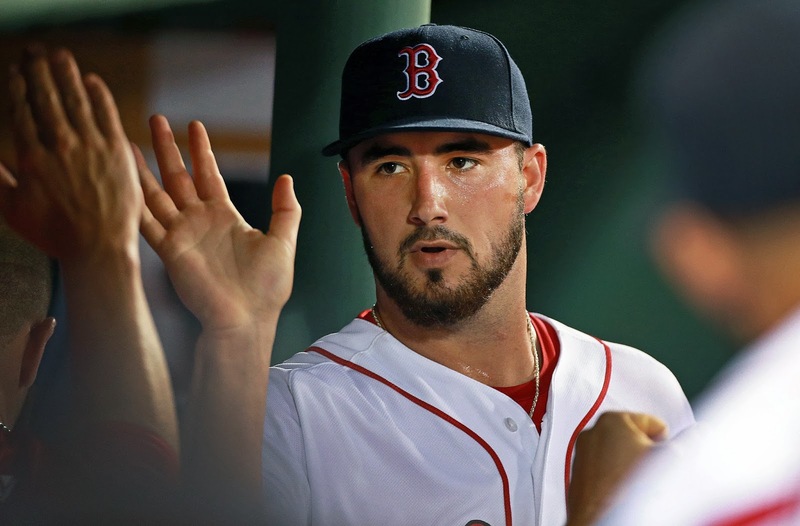 With the recent announcement that Ryan Dempster will sit out the 2014 season, Doubront will likely be slotted in as either the fourth or fifth starter in the rotation, but could be challenged for a spot by one of Boston's talented up-and-coming minor leaguers like Anthony Ranaudo or Henry Owens. One thing to note on Doubront when it comes to bullpen duty: he was rock-solid for the Red Sox when he was moved out to the 'pen in the postseason — putting up a 1-0 record and a 1.29 ERA in seven innings of work, allowing only one earned run on three hits while striking out four — but was horrific as a reliever in two bullpen appearances during the regular season, logging a 14.85 ERA, allowing 11 earned runs on 16 hits and walking five. Two key pickups to note in this pile are sinkerballer Badenhop, who was acquired from Milwaukee for minor-league lefty prospect Luis Ortega in November, and Mujica, who was signed as a free agent by Boston in December. Badenhop should prove to be an effective middle reliever while Mujica — who targets right-handed hitters with fastballs and sliders and unleashes splitters on lefties — will be an excellent complement either as a setup man in the seventh or eighth innings or as a closer, should anything happen to Koji Uehara. Mujica posted 37 saves and walked only five batters in 64.2 innings with St. Louis in 2013 after Cards closer Jason Motte was lost to injury but fatigue kept him from appearing against the Red Sox in the World Series. Webster can be called upon for spot starts — as well as minor-league standout Ranaudo, if he can make the transition — while De La Rosa will continue to try to live up to the hype he generated while a prospect in the Dodgers farm system. Tazawa should again be an effective bridge to Uehara, provided the increased workload he shouldered (44 IP in 2012, 68.1 IP in 2013) didn’t take a toll on his arm. Steven Wright, it was announced by @alexspeier on Twitter Feb. 16, will miss the first half of the season and likely debut in AAA sometime in July after he underwent surgery in late January to repair a hernia. A true standout for the right-handed portion of the bullpen last season was Workman, who was called up to the big leagues in July and performed admirably first as a spot starter and then as a long reliever for the rest of the regular season and postseason. The ten pitchers who were extended an invitation to spring training by the Red Sox include former Sox lefty reliever Rich Hill and righthander Brayan Villarreal, who was picked up from Detroit in the three-way trade that brought Jake Peavy to Boston and sent Jose Iglesias to the Tigers. Also invited to spring training are Sox farm-iliars Matt Barnes (RHP), Miguel Celestino (RHP), Noe Ramirez (RHP) and Henry Owens (LHP) as well as Cuban righty Dalier Hinojosa, who defected from Cuba in February 2013 and signed with the Sox in October. Pitchers and catchers report to Fort Myers tomorrow. Read the first article in the State of the Sox 2014 series, on starting pitching, by clicking here.